I have a confession to make: when I’m working or bored or up at 3am, I have been known to turn on QVC or HSN. Yes, I have a Q card. Yes, I’ve ordered Diamonique. I’m addicted to WEN. (Summer Honey Peach is to DIE for, people!) I have ordered AirFlow Breeze Register Booster Fans at 4am on a cold December morning. But none of that can even remotely compare to this: GunTV. A video on the website boasts they aim to “responsibly offer extraordinary access to purchase the most diverse representation of firearms in the world”. “Our broadcast setting is going to demonstrate the products and we’re going to tell the backstory on the manufacturer, on the materials used to make these products, what kind of wood has gone into the making of the rifle, for example, how it feels to hold it,” Castle said. She also promised “stunning” sets. Castle grew up near the Sierra Nevada in California in a family of bear hunters. She says the responsibility of firearms owners and gun safety, especially to children, were emphasized consistently, “and we never had an accident”. “When you look at the number of gun deaths in this country every day, the idea that somebody’s ‘brilliant marketing scheme’ is to get more guns into the hands of more people is just a little bit outrageous,” Cutilletta said. The channel is now available to over 34 million satellite television subscribers. Orders made via gunstv are sent from GunTV to Sports South in Louisiana. 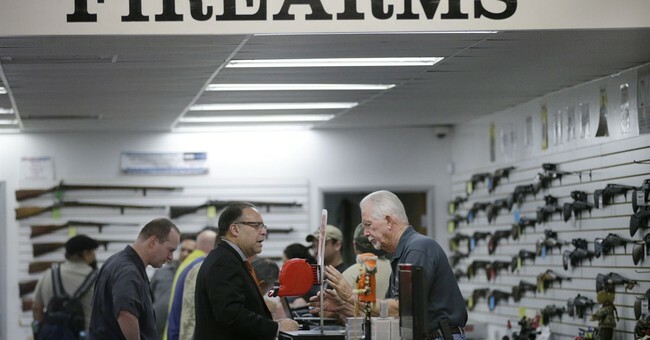 From there, the guns are sent to a local firearms dealer where shoppers still need to fill out the appropriate forms and pass a background check before they’re able to take the firearms home. GunTV also sells ammunition, firearm accessories and outdoor apparel.